At this point, I am sure most of us have heard of a growth hacker, growth hacking, sales hacking, or life hacking as ways to market products or services. Maybe, in the past when you see growth hacking or one of the other terms, you ignore. Maybe you’re not a startup and, therefore, think that growth hacking does not apply to you. I can see why you would think that because even the definition in the quote above includes “startup”. This is misleading, get over it! Whether you are a startup, small business, large business, it does not matter. It is time to pay attention. You have a website, twitter account, facebook account, and other social media. 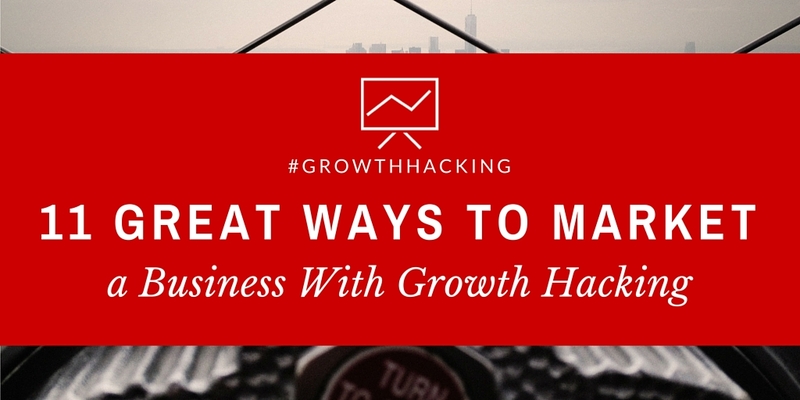 You MUST start becoming a growth hacker right now as a way to market your business. 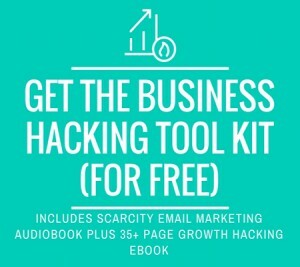 To become a growth hacker as a way to market, you need to take advantage of readily available tools, tips, and tricks that are quick and easy execute. Growth Hacking topics cover a broad range of areas including sales, marketing, and productivity. There is no proven formula to follow as a business strategy, which can turn some people away. Develop your own business strategy by experimenting with different hacks as ways to market products and services. A great growth hack can be completed in 15 minutes or less and quickly creates measurable results. You can create a business strategy by stringing a bunch of these growth hacks together and you can achieve exponential growth. Here are 11 great ways to market products and services to get you started. Productivity is a big piece of business hacking. The more productive you are, the more growth hacks you can get done. Getting Things Done is a very popular book among programmers and engineers, which is how I first heard about it. I try to read it once a year. Mr. Allen even recently updated the book and you can get it at most booksellers including Amazon.com – Getting Things Done: The Art of Stress-Free Productivity. David Allen will tell you that when you are making your “to do” list and you come up with something you can get done in 2 minutes or less, just stop and do it. When it is done go back to your list. I like to still add it to the list, so I can cross it off for the psychological boost of getting things done. Go through your social media accounts (Twitter, Facebook, LinkedIn) and make sure that your website is included in your profile. If you have employees ask them to do the same. Whenever possible include the link in the link field as well as in the description. 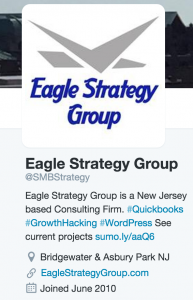 We have done this in our Twitter profile, @SMBStrategy shown to the right. 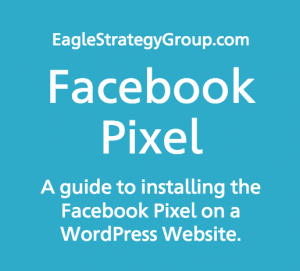 Make sure all your social media accounts are on every page of your website. The reason for every page is people don’t always enter your website from the home page. Make sure Professional and Business Profiles that are set up with business organizations, community groups, etc. all point to your website. 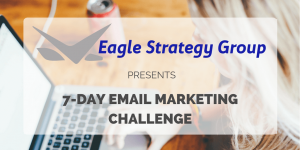 What if I average 10 emails a day from each address and each email averages 2.5 recipients? Email autoresponders are just not used enough as a way to market. 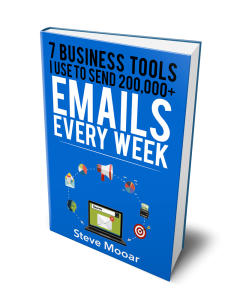 If you have 875 outgoing emails every week, how many incoming emails do you have? Don’t count spam, because there is probably nobody at the other end. A story for another day. Let’s assume you get as many incoming emails as outgoing. For two of my email addresses, I already have autoresponders set up. So, I took a couple minutes to add a couple lines with a link just like for the email signature. I would not do this for all email addresses, but if you have some role-based emails that are catch-all accounts like support, sales, etc., give it a try. If you can’t find an autoresponder option in your email settings, try looking for a vacation response. Also, many email services require that you sign into your email through a web browser to set up autoresponders. This has been my experiences with both 1and1 and Backspace. Email marketing is not dead and not even close to being dead. For many of our clients, it is still one of the best measurable ways to market their business. Use a free service and add a sign-up form to your website. MailChimp is free for up to 2,000 subscribers. Make sure you have any autoresponder setup when someone signs up (See Business Hack #4). 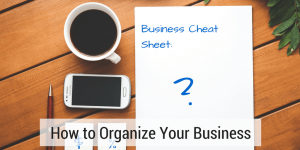 You don’t have to go crazy setting up a marketing campaign to get started. You can simply email out new posts or updates to your site. We have set up an email drip campaign using MailChimp that sends you 5 daily emails with Business Hacking Tips. 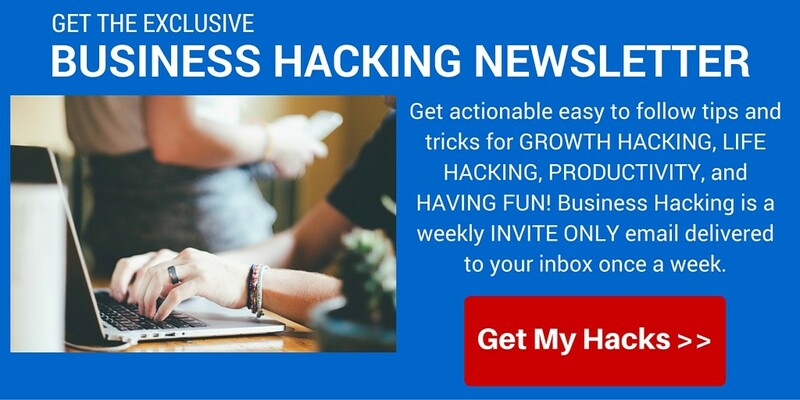 You can sign up here for the Business Hacking Newsletter and see how it works. Make sure your website is on all print materials from business cards to catalogs to signs. I have even noticed a trend on business cards to just have a name, phone number, email, and website. You can even add QR Codes to any print material that directs people to your site. I question the adoption rate and reach of QR Codes, but you can get free codes and they are easy to set up. Try QR Stuff. When you have something new, write a press release. 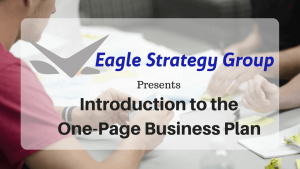 There is a formula to a press release – title, attention grabbing intro, how your product/service solves world hunger or another problem, one or two quotes, a call to action and an about your company paragraph. 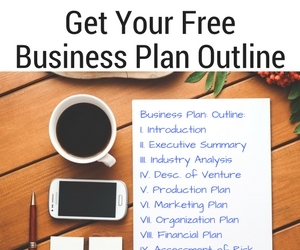 Once you have created the first one you have a template that is repeatable. Press Releases are great content for your site and can be submitted for free through tons of services including. Cyber Alert keeps a list of the highest ranked free press release service here. If you are selling a product or service, there are a lot of options for setting up affiliate programs. Most shopping cart programs have at least a manual way to set up tracking codes, so you can get started and see how it goes. There are also free plugins for WordPress and other CMS’s. One you understand what works, you can look at automating your program using an Affiliate Service like Linkshare or CJ.com. Short on ideas? Trying to come up with ideas for this week’s marketing campaign or a long-term business strategy? The world is full of copycats and some of them are the most successful people you know. Do you think Steve Jobs or Apple invited the mouse? The answer to “Did Steve Jobs or Apple invent the mouse?” is no. But, Apple made it better. If you see this message, it means that your browser doesn’t support frames or they are disabled. You can access the information shown in this frame here: &amp;amp;amp;amp;amp;amp;amp;amp;amp;amp;amp;amp;amp;amp;amp;amp;lt;a href=”http://eepurl.com/bxiNgP”&amp;amp;amp;amp;amp;amp;amp;amp;amp;amp;amp;amp;amp;amp;amp;amp;gt;Archie Email Signup&amp;amp;amp;amp;amp;amp;amp;amp;amp;amp;amp;amp;amp;amp;amp;amp;lt;/a&amp;amp;amp;amp;amp;amp;amp;amp;amp;amp;amp;amp;amp;amp;amp;amp;gt;.